I wrote yesterday about Lyman Coleman and his thoughts on small groups as an assimilation strategy for the church. Today, I want to share some more personal thoughts about Lyman. I first met Lyman Coleman in 1992 when I wrote a feature article about him for The Lookout magazine (right). I had called Serendipity House, the ministry he founded, to set up an interview with him. His assistant put him on the phone and he invited me to travel to two cities with him on his training tour. The time I spent with him over several days had a profound effect on my life. He challenged me to throw my life into God’s passion for reaching lost, broken people through authentic community. 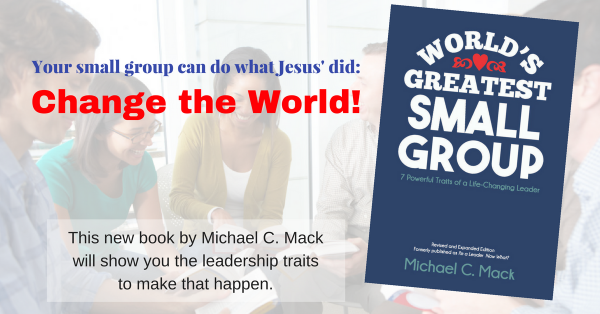 I watched as Lyman led those conferences, and when I began to lead small group conferences myself, I tried to lead the way I saw him do it (although, looking back now, there was no way I could lead like him. Coleman is a unique, creative genius). More than anything, however, I caught Lyman’s passion for people the church has not yet been able to reach. I still carry that passion with me today. Lyman speaks ardently about the men he learned from, men like Dawson Trotman, founder of the Navigators, Sam Shoemaker, an episcopal priest who was influential in the beginnings of Alcoholics Anonymous, and Bruce Larson, pastor at University Presbyterian Church and the Crystal Cathedral. Lyman is known as a preeminent small group pioneer, but he points to others who had a profound influence on him. Besides those mentioned above, he talks about other people he did ministry with: Bill Bright, Elton Trueblood, Stacey Woods, Keith Miller, Roberta Hestenes, and of course his brother Robert (author of Master Plan of Evangelism among other books). In an interview with Christian Counseling Today, Lyman said, “I was given the privilege of being around some people in my early life who planted within me a passion for reaching the world for Christ and for ‘binding up the wounds’ of the broken people in this world.” Lyman still lives out this passion as well as passing on the legacy that these pioneers gave to him. My initial meeting with Lyman Coleman was a serendipitous moment. I thought I was interviewing him. As it turns out, God meant it to plant a passion for lost, broken people into me. I hope I can pass on that legacy to others.